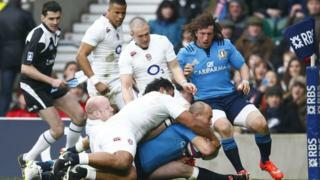 Italy take an unexpected early 5-0 lead against England in their Six Nations clash at Twickenham. Marco Bortolami steals England line out ball off the top, allowing the Azzurri to run the ball at a backline set up for attack. 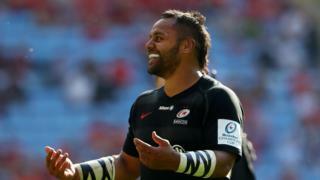 Captain and talisman Sergio Parisse sends Anthony Watson and Mike Brown the wrong way before diving over to score.